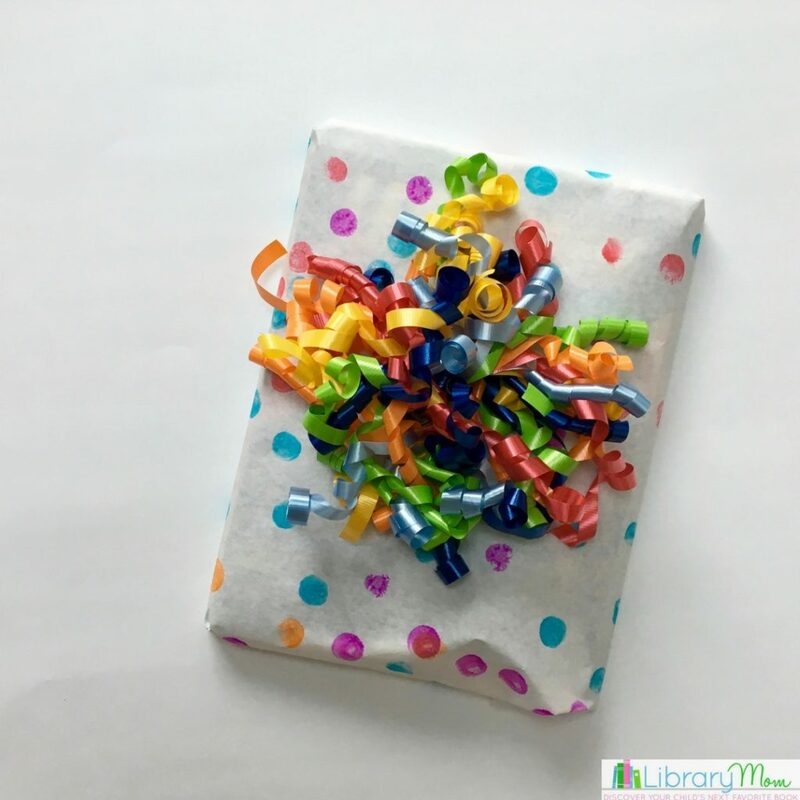 I love giving books as gifts, but hate having to constantly pay for wrapping paper and cards. 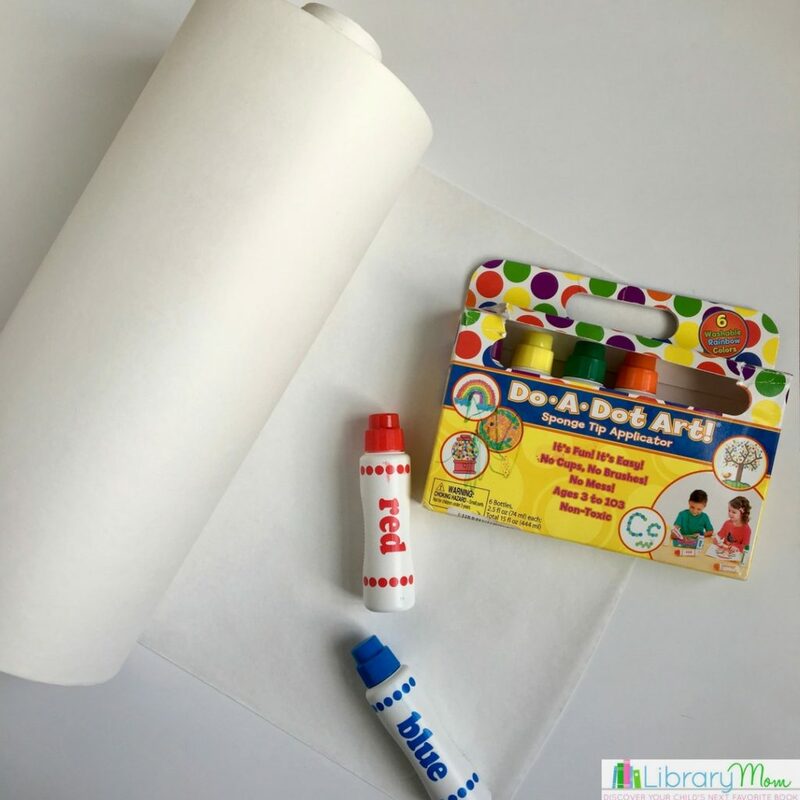 As we were preparing for a recent children’s birthday party, I realized that the butcher paper we use for crafts is the perfect size for wrapping a book! 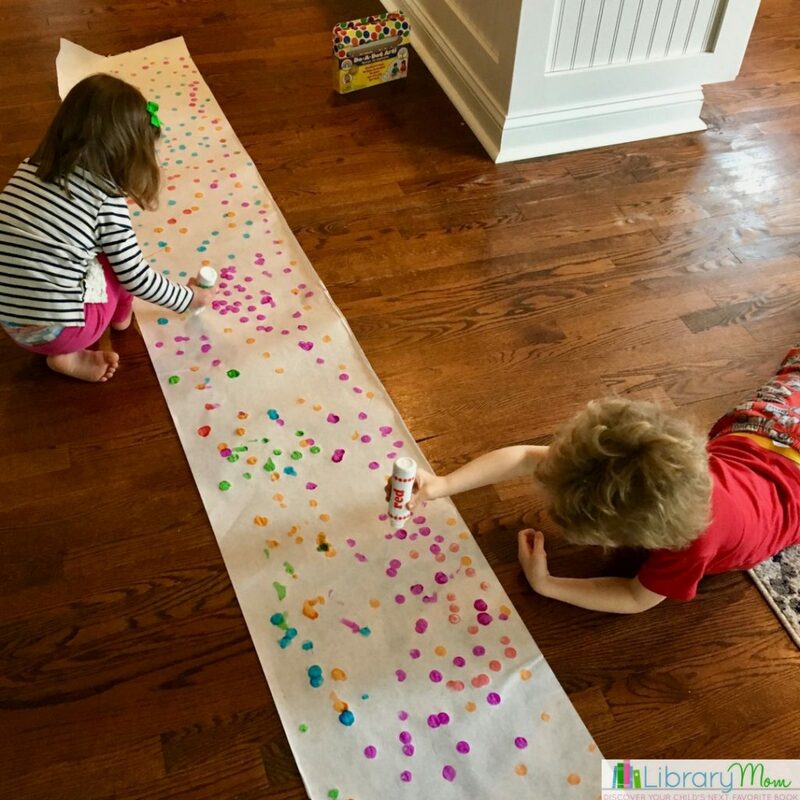 I laid out the butcher paper, gave my kids our dot paints, and let them create their own design for the paper. They had a blast making the wrapping paper and were so excited to give it to their friend at the party. One of my friends had recently mentioned writing a note inside the book as a substitute for the card, so I took her suggestion and wrote my well wishes there. 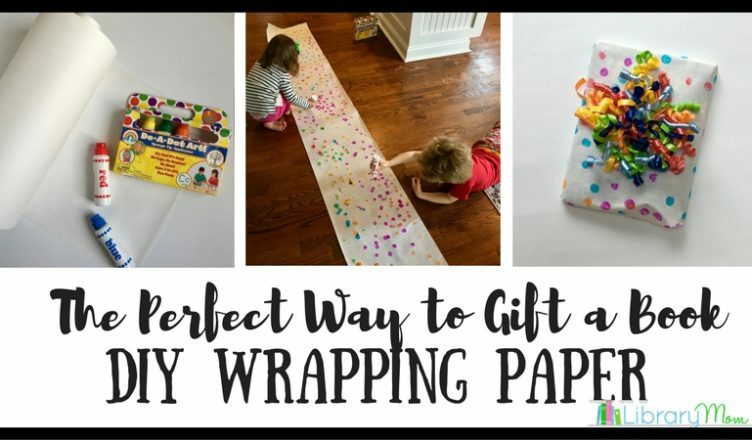 The cost of wrapping paper and cards add up quickly and it felt good to find a free solution that my kids enjoyed engaging in. I stuck a big bow on top and we headed off to the party. I simply laid out the paper and let my kids design it however they wanted. Then I cut the paper to fit the gift and wrapped it. That’s it! If you wait until the morning of the party like I did, however, you may need to pull out a blow dryer to help the paint dry faster. My kids took turns and had almost as much fun drying the paint as they did making their wrapping paper! Quick Tip: In the past when I’ve used butcher paper, I have also used painter’s tape to hold it down on the floor. Painter’s tape is great because if you remove it gently, it usually will not ruin wood floors. Have fun and hopefully you won’t have to spend another dime on wrapping paper again!